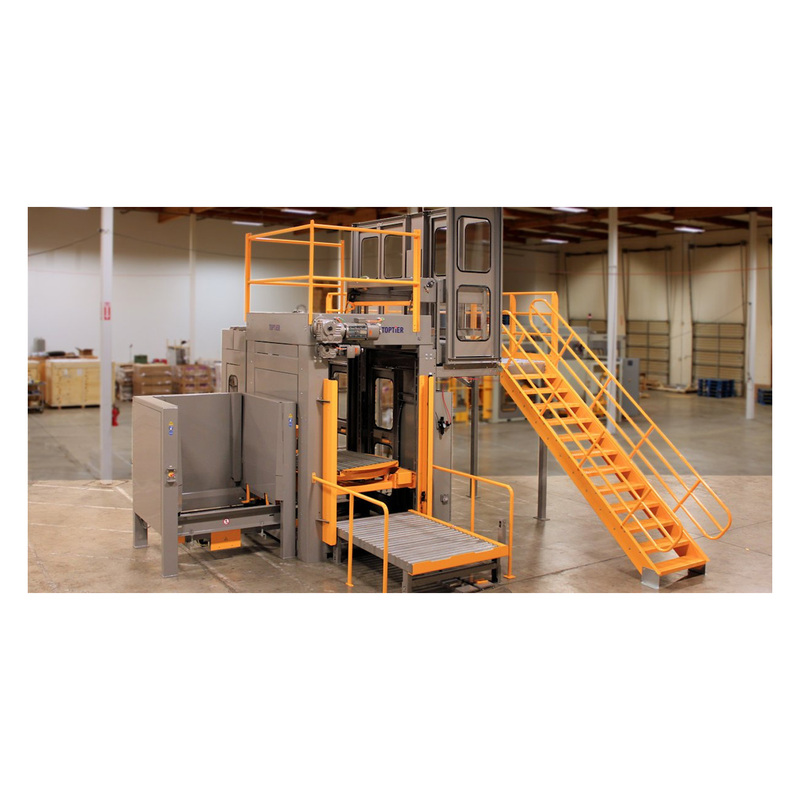 Palletizer model groups share common functional modules and frame systems to provide comprehensive palletizer solutions. Shared modules maximize layout flexibility while reducing cost through increased manufacturing and machine controls efficiencies. Modular engineering means quality control and complete flexibility in the configuration of machine components. No customization is required. The orientation of induction and load exit meet your exact requirements. 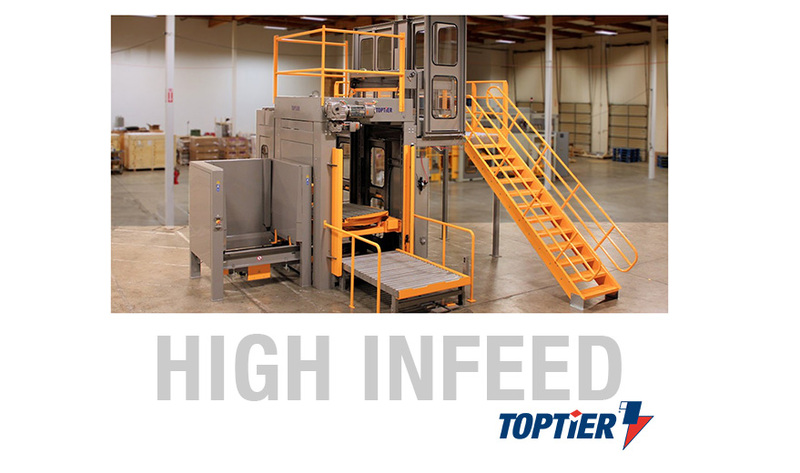 Additional modules information..
TopTier palletizers combine the most recent advances in machine control technology with an intuitive interface HMI and EasyStack® pattern programming software. Additional controls information..
Infeed Height 108" to 148"
Minimum Footprint 80" x 80"
Typical Footprint 190" x 142"